Sweet Nouveau, from owner and head baker Sandra Brumfield, specializes in artisan confections, chocolates, cookies and brownies. All the products are made by hand, in small batches to ensure freshness, and they pride themselves on using only the highest quality ingredients like pure Madagascar vanilla, European butter, Guittard chocolate and real cream. 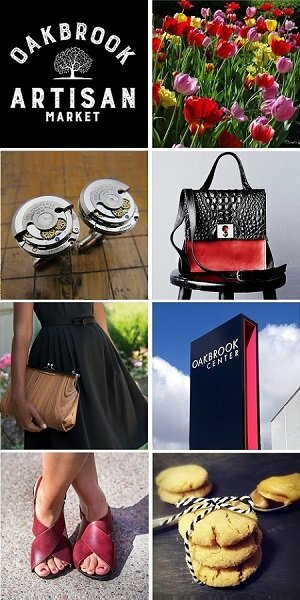 We are excited to welcome Sandra and Sweet Nouveau to the Chicago Artisan Market on Sunday, March 10, 2019 from 10am-4pm at Morgan MFG (401 N. Morgan St.), where she will join 110+ top artisans in food, fashion, home goods + art. 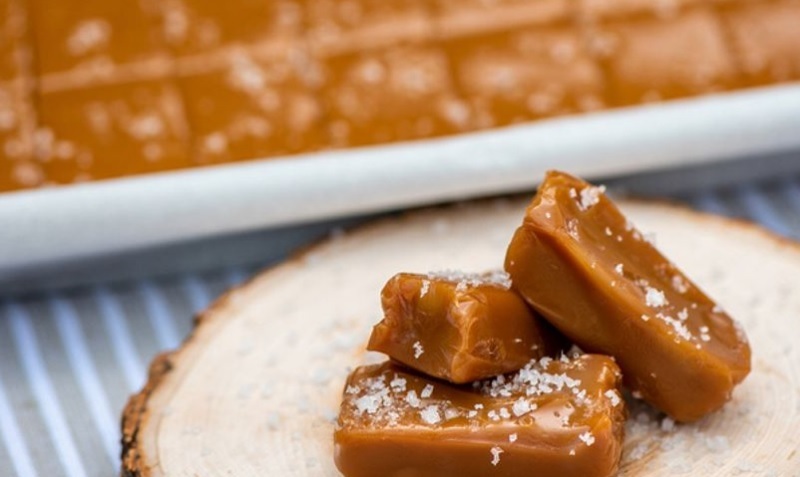 • Caramels: Enjoy buttery, melt-in-your-mouth artisan caramels in a variety of flavors including: Fleur de Sel, Espresso, Turtle, Mexican Chili and seasonal flavors. • Client Gifts: Promote your brand in a “sweet” way with caramels, chocolates, cookies and brownies with many customization options, including adding your logo to their delicious sugar cookies. 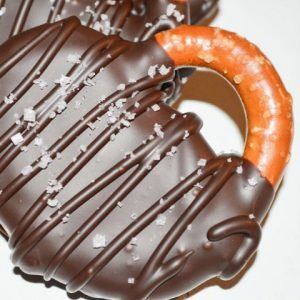 • Event Favors: Available in bags or boxes, your guests will savor the caramels, gourmet caramel corn (available in multiple flavors), chocolate bark and chocolate caramel pretzels. Sweet Nouveau upholds their reputation of creating sweet treats of incredibly high standards, and you expect only the best, every time. Sandra keeps the test kitchen busy, always creating new and inventive offerings. Coming from a long line of family cooks and bakers, good food has been a crucial part of Sandra’s life. She learned at a young age from both her grandmother and mother who were deemed the best bakers in their community. Sandra has an Bachelor of Arts Degree from the International Academy of Design and Technology in Chicago. She later enrolled in the De La Patisserie program at the French Pastry School of Chicago, one of the most prestigious pastry schools in the world. There she was trained by world champion pastry chefs, and she interned at Panna Dolce, Sarah’s Candies & Pastries and Flirty Cupcakes. Shortly after graduation Sandra began working as a baker for Nordstrom Cafe, then finally setting her sights on her own business – and Sweet Nouveau was born. She has also been seen on Food Network and in several wedding industry magazines and blogs.